Take a ride on the wild side! 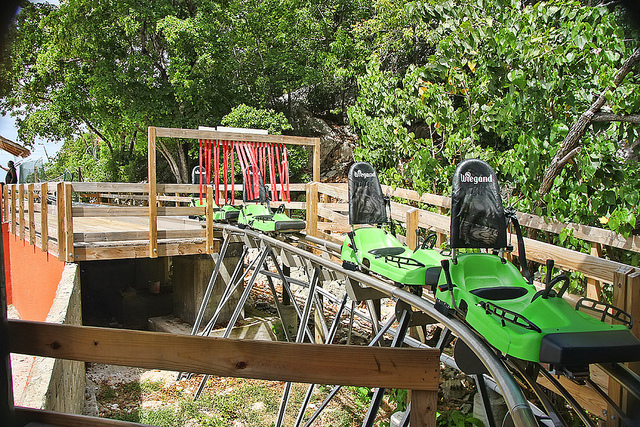 Roar down the side of the mountain on this thrilling alpine coaster ride. 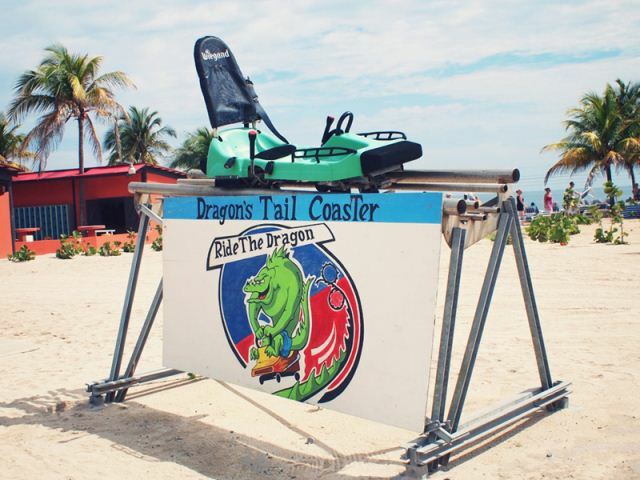 Experience the thrill of riding the Dragon's Tail Coaster through a series of dips, waves and curves. 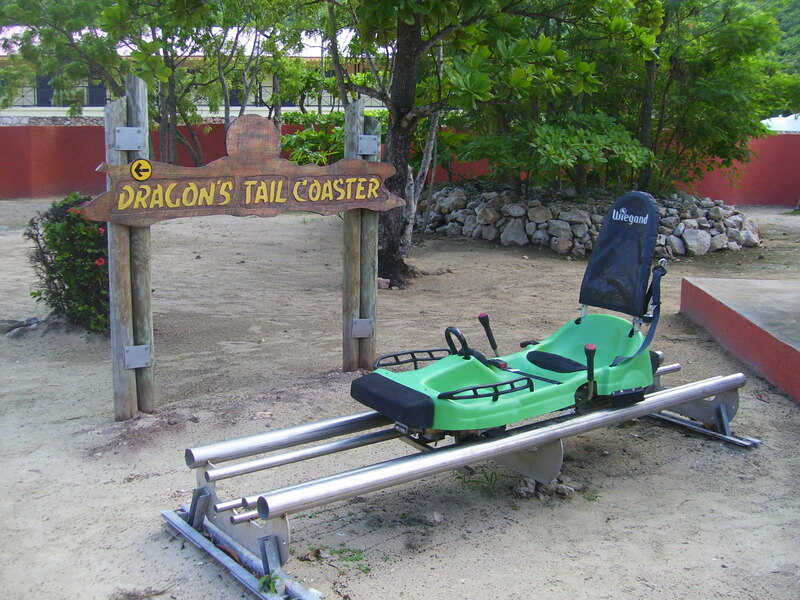 The Dragon's Tail roller coaster is located in Labadee and generally not available to the general public. To get access to this you must book your excusrion via Royal Caribbea Cruise Line. Take a ride on the wild side! 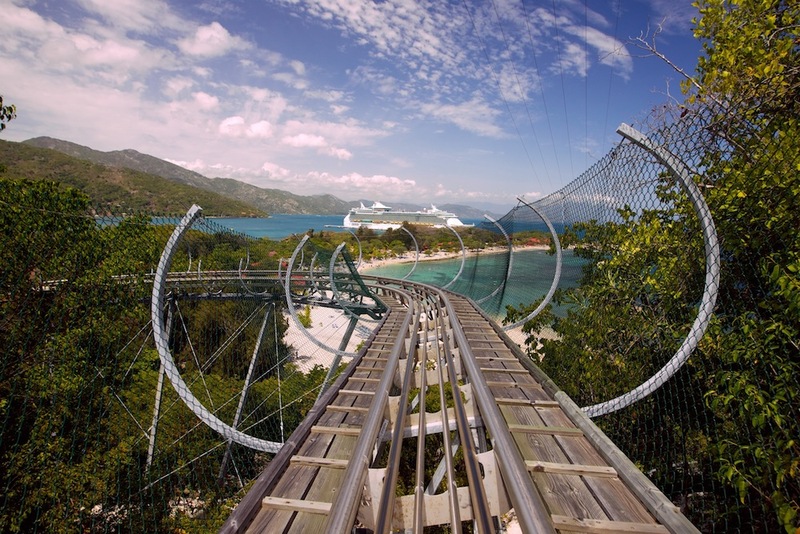 Roar down the side of the mountain on this thrilling alpine coaster ride. 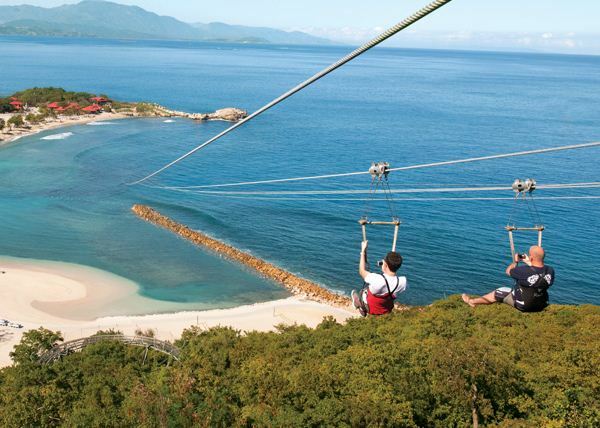 Enjoy the breathtaking beauty of Labadee as you slowly rise up from the beach on Santa Maria's lookout mountain. Once you reach 680 feet, you'll have just enough time to catch your breath and marvel at the view before turning and whooshing down at 30 miles per hour. As you race through 360-degree turns as well as dips, waves and curves, you can catch glimpses of the ocean. 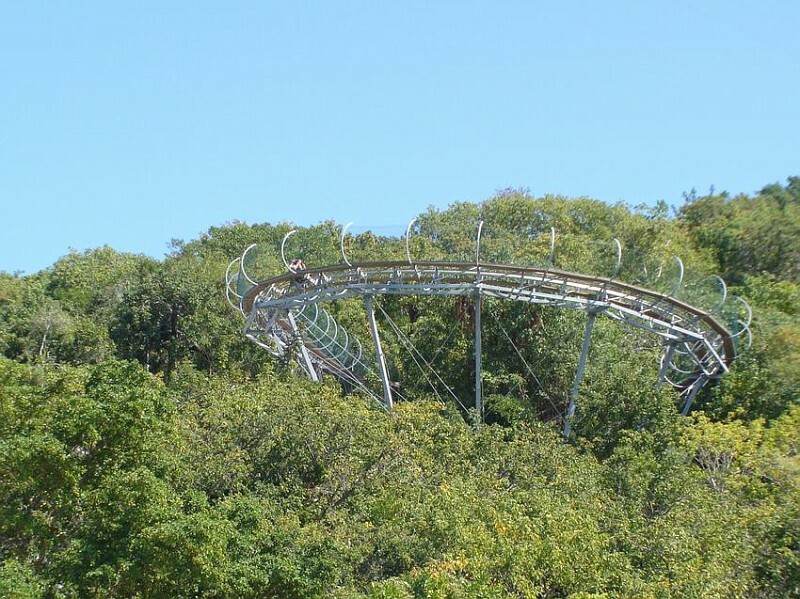 Roaring down the gorgeous mountainside forest, this alpine coaster is one thrilling ride you and your family will be talking about long after you get home. – Children between the ages of 5 and 11 may ride in the same cart with their parent/guardian. – Maximum occupancy per cart is 2 persons with a maximum combined weight of 360 pounds. 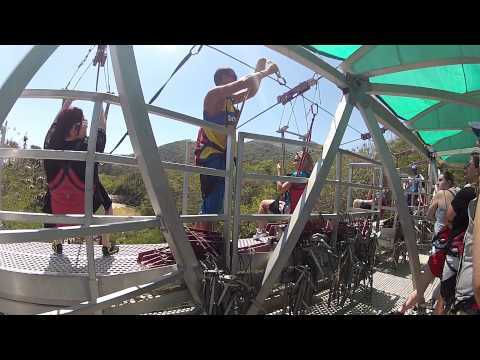 – Total ride time is approximately 3-5 minutes. 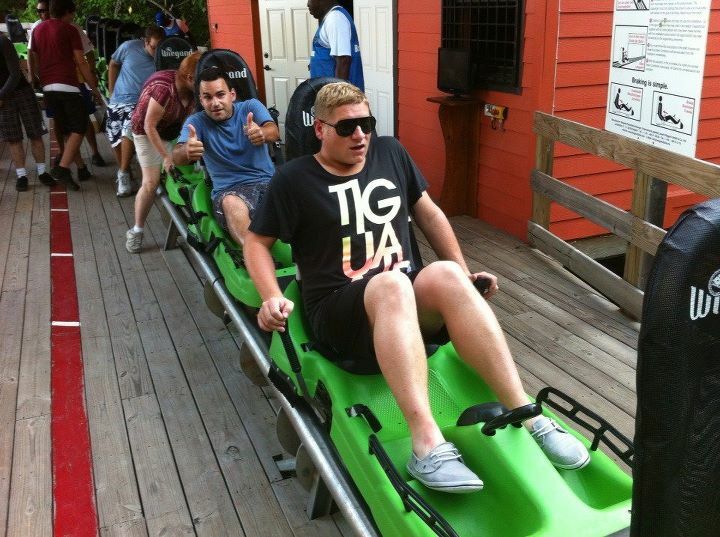 – Purchase a ticket and you can take a person along in your cart for free!